Brodiaea is a hardy bulb that grows to between 30 and 90 cm in height. 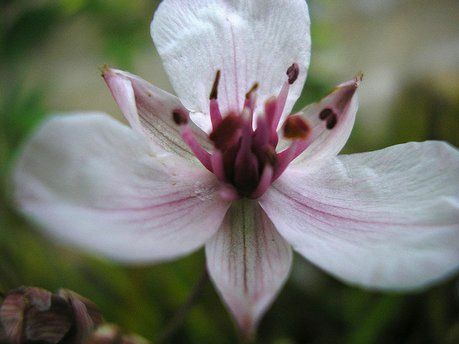 It has many different species in the genus including Clusterlily, Grassnut, Blue-dicks, Firecracker flower and Ithuriel's spear. It flowers in the spring with star shaped white or violet blooms. Brodiaea elegans (Elegant Cluster-lily) by Tom Hilton. Brodiaea douglasii (Douglas' Brodiaea) by Plinkk. 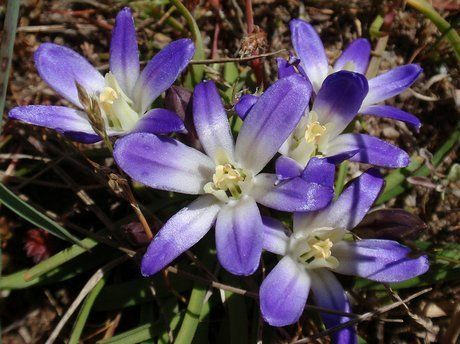 Common Names: Clusterlily, Brodiaea, Grassnut, Fire-cracker flower, Blue-dicks, Ithuriel’s spear. Height: 12 to 36 inches (30 to 90 cm). Growing Region: Zones 6 to 10. Flowers: Spring through to early summer. Flower Details: White, purple, violet. Tube. Star-shaped. Foliage: Herbaceous. A few basal leaves. Seed: 1/8 inch (3 mm). Autumn. Bulb: 3 to 4 inches (7 to 10 cm). Beginning of Autumn. Spacing 3 to 6 inches (7 to 15 cm). Sow Inside: Seeds should be sown in vermiculite and watered from below. Germination time: one to three months. Temperature 55 to 60°F (13 to 16°C). Sow in the spring, transplant outdoors in autumn. Requirements: Full sunlight. Good drainage. Gritty soil, loose soil. With the exception of Brodiaea peduncularis which requires a heavy soil. Regular watering during the growing season; cease watering once flowering has finished. It will take two years for seed grown plants to flower, so easier to grow from bulbs. Propagate: cormels can be planted in the autumn. 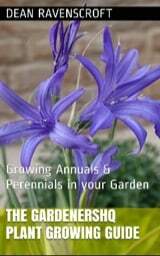 If planning to grow Brodiaea outdoors then seeds should be planted in the autumn at a depth of 3 mm and bulbs planted in early autumn at a depth of 10 cm. When growing Brodiaea members indoors first then it is best to sow them at a temperature of around 15 degrees Celsius; they take from one to three months to germinate. It is important to water from below as their leaves tend to be sensitive to water and can decay. The seedlings of grassnut and related species should then be planted out in the autumn; they will take about two years until they bear flowers. They should be planted in a sunny area about 10 cm apart into gritty soil with excellent drainage. Brodiaea may require to be watered during dry spells but do not water at other times of the year. In very damp or very got summers, grassnut bulbs should be moved indoors and replanted again in the Autumn.